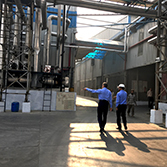 The Merino Group's facilities are state-of-the-art, geared for integration, and strategically well-located to serve the markets. 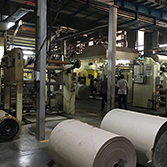 Its two manufacturing facilities for High Pressure Laminates have a combined annual production capacity of 35 million sq. mtrs. Our three short cycle lamination facilities can produce pre-laminated particle and MDF boards in sizes varying from 2.5 X 6 ft up to 9 X 6 ft. 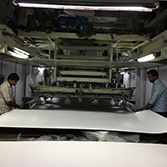 Following the principle of Economy, our three pre-lamination lines are located in northern and southern locations for readier dispatches to the customer. In keeping with our integrated approach, we have set up a printing facility to offer custom designs. A plate polishing and cleaning facility has also been installed for uniform surface finish of stainless steel moulds. We are the only HPL manufacturer in Asia to have chroming and de-chroming facility that maintains chromed SS moulds in order to produce non-directional chromed gloss plates. We manufacture our own formaldehyde and resins too. 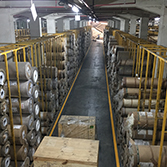 Offices and warehouses in all major state capitals ensure an adequate presence of Merino and serve to expedite business decisions and logistics. Further, an in-house fleet of vehicles ensures on-time product delivery at all times.